McDonald Consulting Group can provide assistance to companies looking to achieve significant business results through process improvement techniques. Lean – Lean Consulting works with your Enterprise using a set of principles and tools that are used to improve quality, prevent waste, reduce lead-time and increase value to the customer. 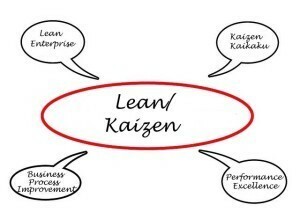 Kaizen / Kaikaku – our trained consultants can walk your oganization through small incremental changes over a long period (Kaizen) or larger, wholesale changes (Kaikaku) closer to redesign than improve – and we have extensive experience in facilitating Kaizen Blitz and Process Re-engineering efforts to lead your organization quickly to an improved state. Business Process Improvement (BPI) – our Process Improvement consultants will use Business Process Mapping and Improvement tools to understand how the organization works. Business Process Improvement is captured when we map the “future/perfect” process and build a bridge from the current “as is” state to the “future/perfect” state. Performance Excellence Consultants (PE) – Because one solution doesn’t work for every organization, The McDonald Group offers both Lean and Baldrige-based Performance Excellence support. If you are looking to make large changes in your organization in all major areas (Leadership, Metrics, Employee Engagement, Customer Satisfaction, and Community Involvement, to name a few), we can help. We’ll work with you to train your personnel, and analyze your organization to provide not only an assessment of your organization, but also a roadmap for organizational improvement across all major areas, based on the gap analysis findings. Whether for your own internal use, or in preparation for a local, state, or national submission, we’ll provide you with straightforward and actionable feedback. Contact The McDonald Group today to find out more about any of these techniques or schedule a training or implementation.